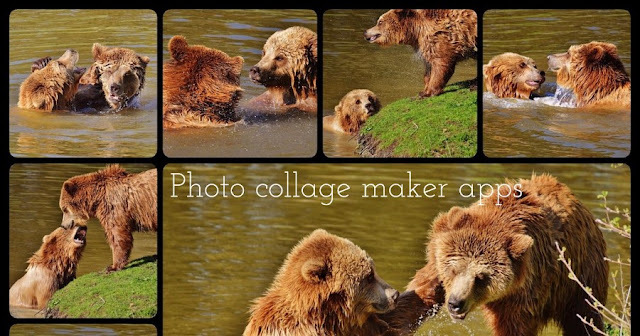 This article contains a list of the best photo collage maker apps for iPhone & iPad users. Most of these photo collage apps come with lots of photo collage editing tools including tons of photo frames, grid layouts, freeform scrapbook style option, magazine layout , photo montages, collage backgrounds and stickers. Okay let's check the list of useful photo collage apps for iOS users. 1. PicZone – Add Upto 60 Photos To A Photo Collage( iPhone & iPad ) – If you are looking for a featured rich photo editing app with lots of features or want to have the best and quick photo collage maker app on your iPhone & iPad, you must check PicZone photo editor app that contains several features. PicZone comes with two main features which are photo editing with lots of tools and photo collage maker function including many collage decorating tools. With the help of PicZone photo collage app, you can quickly create photo collages with lots of photos with in few taps. PicZone helps you create photo collages with upto 60 photos quickly. This app lets you add upto 60 photos in a single photo collage frame. PicZone includes lots of collage editing tools and comes with various photo retouching options. PicZone photo collage maker app lets you select lots of photos into the collage layout with background editing tool, wallpapers, stylish photo frame and tons of realistic photo stickers option. If you want to edit any photo from collage layout option, just double tap on any particular photo from collage layout, you will see photo editing option. If you want to edit entire collage, just use edit button to edit full collage layout. PicZone contains lots of photo stickers, it has almost all types of image editing & enhancing tools such as cool photo filters, image effects, focus & blur option, photo cropper, text on photo option and more. PicZone includes lots of options and if you are a creative iPhone user, you would love using PicZone to create awesome photos. One of the best photo collage maker apps for iPhone users. All editing tools in a single app– PicZone is of the best photo collage apps on the iOS Appstore and it contains lots of photo editing and collage making tools. PicZone photo editor has two main function which are photo editing & retouching tools & quick photo collage tool including lots of collage editing options. Add upto 60 photos in a single frame– The app lets you create beautiful photo collages with lots of images in a single photo frame. With the help of PicZone photo collage maker app, you can add upto 60 photos into a single photo. PicZone collage function lets you try different photo frames, change border designs of your collage, change border colour of your photo collages, add emoticons, funny photo stickers and text to your photo collages. Collage editing tools:- Piczone contains come useful collage layout editing tools such as grid design selection tool, border designing tool with colour option, background colour & images, text option for photo collages, photo frames for collages, funny photo stickers & emojis. Photo retouching tools– PicZone photo app lets you enhance, edit & retouch your photos with the help of 15 photo retouching tools. 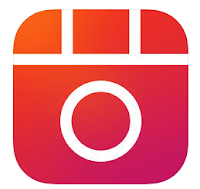 The app contains various types of photo retouching tools which are- stylish photo filters, image effects, colour adjustment tool, colour splash option, photo rotation tool, cropper, focus & blur option, text tool, tattoos, hair wigs for men & women, clothes, stylish eye glasses and many other features. One of the best photo collage apps with editing options including photo stickers. 2. iCollages Pro- Collage, Frames, Doodles & Quotes ( iPhone ) – iCollages Pro is one of the best photo collage apps on the App store for iPhone users. Simple and easy to use photo collage app for iPhone that contains 245 readymade photo collage frames which can be used to frame your special moments into a single photo. iCollage pro has lots of collage frame, doodles with emojis, text tool and collage border colour tool . You can easily increase or decrease size of each photo collage block, to do this, simply click on Adjust option, you will notice dots on the border of each collage block, drag those dots to increase or decrease size. Great premium collage maker app that lets you create beautiful photo collages with the help of readymade adjustable templates. Lots of readymade collage layouts– iCollages pro contains more than 240 collage frames to combine/merge your beautiful moments into a beautiful photo frame. iCollages Pro lets you add upto 16 images to a collage frame. With the help of iCollages Pro, you can frame your memorable photos and share your creation with social friends to get more likes on your photos. 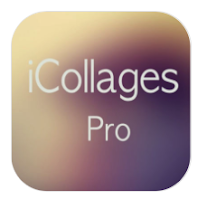 Scaleable photo collage blocks– iCollages Pro app lets you adjust size of your frames' border according to your needs. Just click on “Adjust frame” option, when you click on this button, you will see black dots on the borders of each block of your photo frame. Slide those black dots to scale and adjust collage frame’s blocks and after adjusting your frame blocks, click again to “adjust frame” option to fix those frames. Collage decorating options– iCollages lets you decorate your photo collages with the help of beautiful wallpapers, colour tool, corner designing tool and border tool. You can also use different styles of borders, emojis, famous saying, texts and doodles on your photo collages. 3. 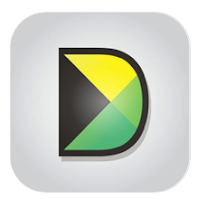 Diptic ( iPhone & iPad ) – One of the best premium photo & video collage maker apps for iPhone & iPad. The app comes with tons of features and helps you create beautiful photo collages within few seconds. The app comes with lots of amazing photo collage creation tools including beautiful photo frames, social sharing option, professional editing tools and many other features. One of the most popular photo collage apps on the app store that can be used to create beautiful photo & video collages, edit and enhance your photos, and edit your photo collage with lots of collage editing tools such as layouts editor, border tools, photo effects , text option and many more. Lots of video & photo layouts– Diptic contains more than 190 layouts for photo & video collages. If you want to create awesome photo or video collages easily on your iPhone, you must try this useful app. The app has vast range of collage layouts such as classic templates, grid, animated, bordered , and fancy photo frames. Collage editor & image retouching options– One of the best photo collage apps for iOS users and it comes with various solution to beautify your photo collages and retouch your photographs like professionals. You can use stylish photo filters, border shaping tool, collage aspect tool, texts on collage option, cool photo frames , collage flipping option and many other features to decorate and beautify your collage. Video editor for collage– Diptic app comes with lots of cool features to create professional video collages and lets you set time, transitions between video clips, music and video effects. You can also design layout, size, colour and canvas for your photo collages. One of the best photo collage apps for iPhone users. 4. Photo Grid ( iPhone & iPad ) – Fully functional photo collage app for iPhone & iPad that contains over 300 collage layouts. If you want to have the best photo collage app on your iOS device, Photo Grid must be in your device because of its amazing features. The app comes with tons of features such as beautiful collage layouts, prank cam to generate funny photos, hundreds of fonts, over 500 stickers & clip arts, cool photo filters and video slideshow maker tool. 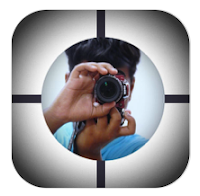 The app also has professional photo editing tools which can be used to edit and enhance your photographs. Collage for both - Photo & Video- PhotoGrid helps you create awesome photo collage and video collage easily on your iPhone. If you want to create beautiful photo or video collage quickly and easily, this app would be the best option for your iOS device. The app contains lots of collage editing tools including some collage decoration tool. Scrapbook style freeform collage layouts– PhotoGrid lets you create scrapbook style freeform collage of your special moments. You can design and arrange photos as you want in this option. Freeform style collage lets you create stylish photo collages according to your creativity. Collage decoration tools– PhotoGrid app contains lots of cool features to decorate your photo & video collages such as 100+ stylish photo filters, a set of professional photo editing tools, backgrounds, fonts, and posters to create magazine style photo collages. 200+ Augmented Reality filters – If you want to create your videos or photos more attractive or funny, you must try this feature. AR filters automatically detects your face and place funny face filters on your videos and photos. The app contains over 200 AR filters. 5. Photo Collage & Photo Editor ( iPhone & iPad ) – If you want to install the best photo collage app on your iPhone or iPad free of cost, try this awesome app on your iOS device. The app has tons of features and also comes with lots of well designed classic collage templates for every occasion such as Xmas, party, birthday, holiday and more. The app lets you add upto 16 photos into a single photo collage and lets you edit and decorate your photo collages easily. The app also contains a powerful video editing tool which has powerful magic video filters, motion effects and many other options. All features in one app– The app lets you edit your photographs, retouch your photos, create photo collages, and edit your videos with magic video filters. The app has many useful features which can only be found in only few paid apps. 5000+ photo collage layouts– One of the best photo collage apps on the Appstore. The app contains over 5000+ collage layouts in various styles such as photo grid collage templates, classic collage templates, magazine style templates , scrapbook style freeform templates, posters and stitch photo frames. Really a vast range of cool photo collage templates. Layout editor – You can design and customize your collage layout with different tools such as frame, texts, backgrounds, photo stickers and many more. 100+ posters– This option lets you create poster and magazine style photo collages as you see in different magazines, news paper ads and websites. The app contains hundreds of poster covers with decoration tools. 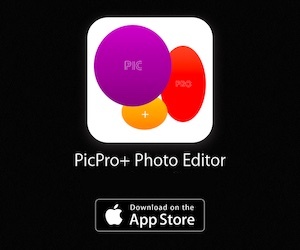 Powerful photo & video editor– If you want to edit, retouch or enhance your photographs with professional photo editing tools, this app would be the best option for your iOS device. The app also contains a powerful video editing tool which lets you edit your videos, apply different styles of effects and themes, create video slideshows from photos and add music to your videos. You can also add animated texts, video magic filters and motion effects on your video clips. Hope this list will help you to find the best photo collage app for your iPhone or iPad. 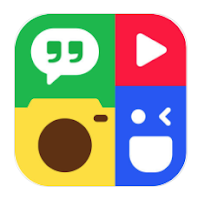 We've listed here only featured rich collage maker apps. All of these apps have different options and abilities. In this article we've listed both types of apps- free photo collage apps & premium photo collage apps.